OPTIMESS CAT caters for the monitoring of overhead wires and also – in the case of new wires – for reliable measurement and checking of their current elevation and lateral position. Calculation of the position is performed in real time and is immediately indicated on the control panel, thus permitting corrections to be made straight away. Precisely-positioned overhead wires lead to attrition and the inspections associated therewith being reduced to a minimum. Error compensation can be performed in a variety of ways – based on the movement of the wagons. 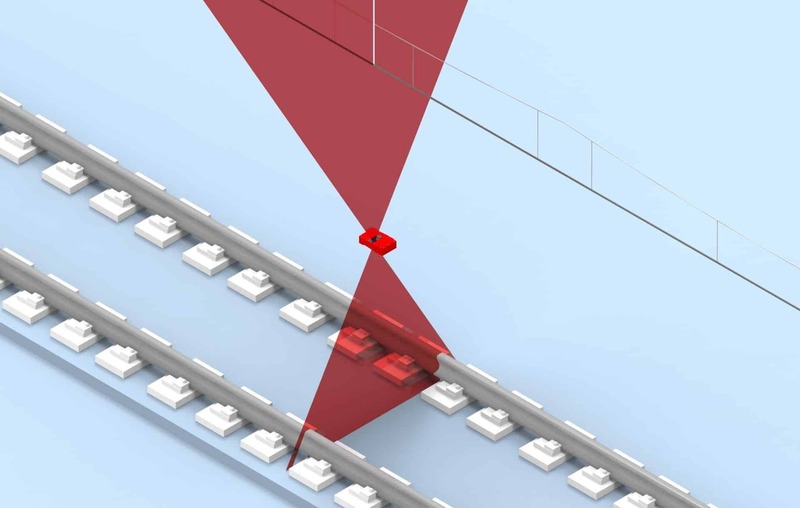 Where the view of the rail is unimpeded, compensation is carried out by the OPTIMESS CSD scanner itself, which simultaneously detects overhead wires and rails. If this is not possible, the OPTIMESS 2D sensors, which are attached underneath the wagon, come into play. This facilitates highly accurate measurement of the overhead wire in relation to the middle of the track.